Samuel Jacob Bradford was born on 8 November 1987, in Oklahoma City, Oklahoma, USA, and as Sam Bradford he is known as an American football player for the Philadelphia Eagles of the National Football League(NFL) who started his professional career in 2010. So how rich is Bradford? According to various sources, his net worth is estimated to be over $25 million as of early 2016. No doubt that Sam can associate his net worth with his successful football career, since his annual salary is $25 million and he has signed the richest NFL contract which included a record $50 million in assured money. 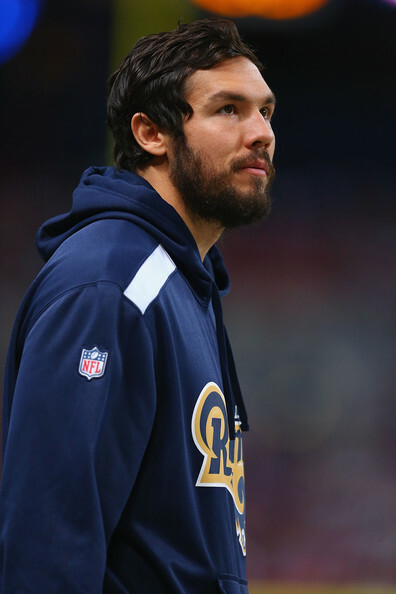 Sam Bradford graduated from Putnam City North High School. His father, Kent Bradford, was an offensive lineman for the Sooners from 1977 to 1978, so no wonder that Sam started playing football from an early age as well. He started playing golf and basketball too while studying at school. Later, he gained an athletic scholarship to attend the University of Oklahoma, where he started playing for the Oklahoma Sooners football team, and so began his career. In 2006, the Oklahoma Sooners quarterback Rhett Bomar was discharged from the team for breaking NCAA rules and it was an opportunity for Bradford since he won the starting quarterback role position for the 2007 team after beating five other candidates. Playing for the University team for three years 2007 until 2009, he managed to become only the second sophomore to win the Heisman Trophy. More, Bradford is still the NCAA record holder for most touchdown passes by a freshman quarterback (36). During first game of the season in 2009, Bradford experienced a third degree shoulder sprain, however, after only three weeks break he got back into the game, but re-injured his shoulder, so had to undergo surgery. Regardless, right after that he was picked as the No.1 selection in the NFL Draft by the St. Louis Rams. In 2010 Bradford started his professional career by signing a six-year $78 million contract. He continued playing until 2014, when he suffered an injury to the same shoulder, and missed the whole season. Still, in 2015 Sam was transferred to the Philadelphia Eagles in exchange for Nick Foles. Playing for the Eagles, Sam had his worst game so far, since he completed only 56.5% of his passes with zero touchdowns and his team lost against Panthers. However, he has won plenty of awards, including Sammy Baugh Trophy, Davey O’Brien Award in 2008, St. Louis Rams’ rookie of the year award in 2010 and others. There‘s not much known about Sam‘s personal life. He‘s never been married, engaged and he doesn‘t have kids. Bradford’s ethnicity is Cherokee, he’s a Christian and even appeared in the short film “I Am Second” (which consists of videos about celebrities) and shared his thoughts on faith and winning the Heisman Trophy. Sam is also a golf player and ice-hockey fan. Moreover, he’s popular in his hometown, since January 13 is now declared as “Sam Bradford Day” in Oklahoma City. 1 Won the Associated Press 2010 NFL Offensive Rookie of the Year award. 2 Quarterback with the NFL's St. Louis Rams, 2010-present. 3 Chosen #1 in the 2010 NFL draft by the St. Louis Rams. 4 Winner of the Heisman Trophy, as the best player in college football, in 2008 as a sophomore. 5 Quarterback on the University of Oklahoma's football team.